The Coughlin Family formed the JEGS foundation to advance the need for cancer research. Our personal experiences with cancer drove us to assist in building awareness of the many facets of cancer and help generate dollars through race earnings to advance cancer research. Thus, the motto "Racing for Cancer Research." 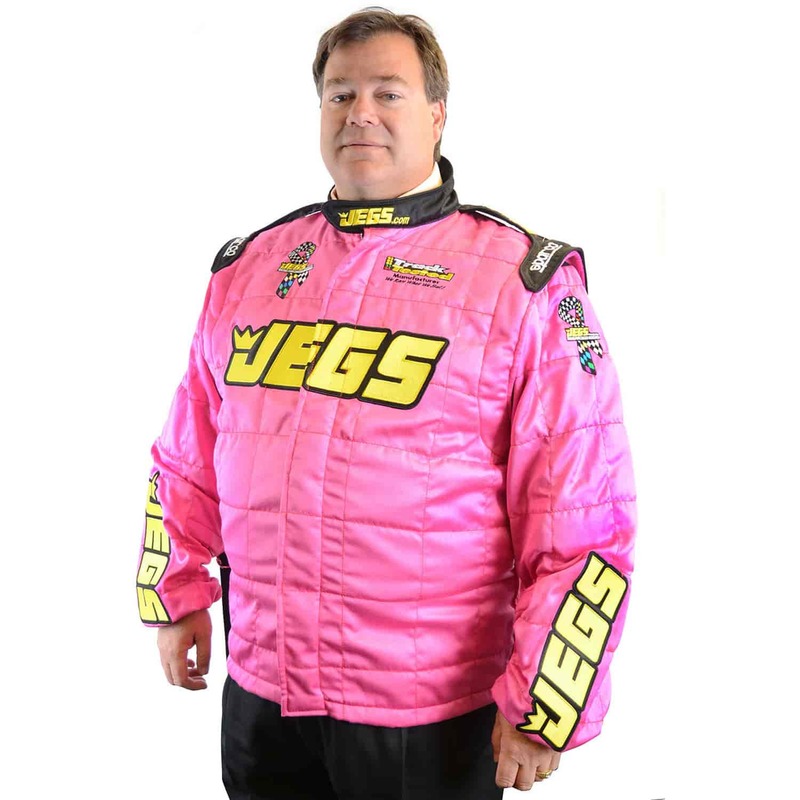 This Racing For Cancer Research Pink Fire Jacket is designed in support of the JEGS foundation. A percentage of the proceeds from these fire jackets goes directly to the Racing For Cancer Research Foundation! The JEGS/Sparco constructed fire jackets that are SFI 3.2A/5 rated and carry the SFI tag for easy certification. Suitable for sprint, stock car, drag racing or any racing that requires a SFI.5 or less rating.